Are you excited to listen to some of our testimonials? Here they tell about their experiences with Dual Air. But be prepared… you might need a tissue to dry your tears. Click on each picture to watch the entire story! Line is a passionate hairdresser who cares a lot about this craft. She has participated in many competitions and was Norwegian number one hairdresser. Nowadays it takes long time for her to blow dry long hair, and she realized that this puts a lot of strain to her body, especially to her shoulders and her neck. Some years ago Line was long-term sick because of chronical headaches and it seemed like she had to quit her job as a hairdresser. That was really tough times for Line, but when she started to use Dual Air, it was a turning point for her situation. Line’s problems disappeared and she can continue working as a hairdresser for many more years thanks to Dual Air. Peter is creative leader at the brand «På håret». 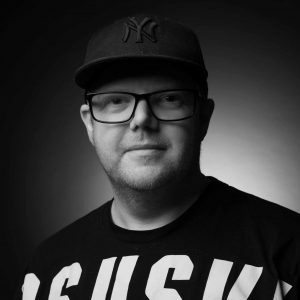 His responsibility is to guarantuee the professional level of all hairdressers over the whole brand. At «På håret» they decided to use Dual Air because they think it is an important tool you should learn from the beginning. So all students and trainees at «På håret» are learning how to correctly use Dual Air professional hair dryer. 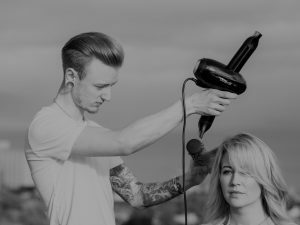 Leif Anders is the Norwegian champion in hairdressing in 2018 and is working as a hairdresser. He just started as a team manager in a new salon and is probably decorating it with all his medals, certificates and prizes. Leif Anders is working intensively with blow drying hair both during training and with his customers. For Leif Anders Dual Air is the best tool to achieve a brilliant result without putting strain to his body and it makes us happy that he is our Dual Air ambassador. Janine loves every day of her profession as a hairdresser and we totally agree with her when she says blow drying is an important part of the service hairdressers offer. Janine blow dries the hair of all her customers. 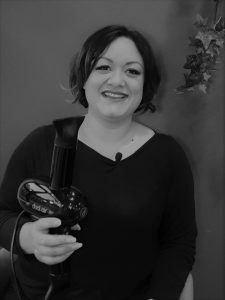 Her arm position with other hair dryers was very static and uncomfortable, but since she is using Dual Air she can feel a big reduction of tension in her shoulders and has the impression that she can work over longer periods with blow drying. Her customers come back just to get a blow dry hairstyle, because the result they get with Dual Air is so brilliant. We are happy Janine supports us as ambassador around Bodø. 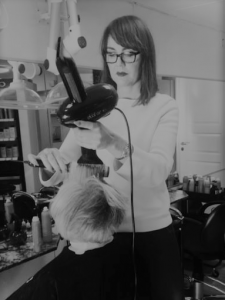 Dag has worked as teacher for hairdressing over many years in several schools in Trøndelag and has operated his own salon. During his whole career he was passionate about competitions and today he is training parts of the Norwegian team as well as some contestants of the OL and Worldskills in hairdressing. Dag trains young talents and is rewarded with participating in their victory and success. 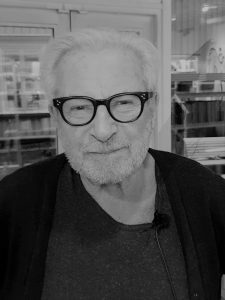 You can still find Dag in his former salon and he shares his precious knowledge throughout courses and training. In his opinion blow drying hair is underrated in today’s education and he says he never had such a good tool like a Dual Air hair dryer to teach students how to create perfect hairstyles with volume and durability. Thank you Dag for your compliments! Cathrin works toghether with Peter at «På Håret» branch and she is our ambassador around Oslo. 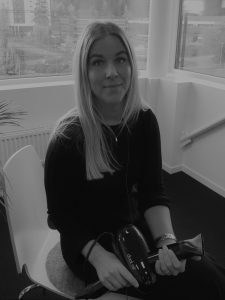 She is part of the creative team at «På håret» and explains the key features of Dual Air in one of our demonstration videos.